Easily one of the most important projects to have any sort of relation to Keeping Up With the Kardashians, this impressive offering is the feature filmmaking debut of former Kardashians assistant editor turned writer/director Iran Parveen Bilal. An eye-opening work set in contemporary Karachi, Pakistan, Josh is inspired by the true events surrounding food kitchen Khana Ghar owner Parveen Saeed’s goal to “erase hunger to erase crime” by providing affordable nutrition programs to citizens neither able to escape poverty nor a food supply under criminal slumlord control. The end result is an ambitious and thought-provoking film that reaffirms the limitless potential of cinema as a vital, humanistic medium that bridges together people from all walks of life. Josh introduces ideas and points-of-views to western audiences that might not otherwise have had this vicarious opportunity to experience life in Pakistan from such an authentic, intimate and personal perspective. Illustrating the tendency of those in the upper classes of Pakistan (and indeed everywhere) to turn a blind eye to the plights of those from other economic classes, Bilal also paints an emotionally complicated portrait of residents who leave homeland for what they perceive will be the much greener pastures of western civilization for school and/or work in America or England. Yet far from taking a socioeconomic documentary approach, the filmmaker employs a mystery narrative for the film’s inciting incident which calls its main character and audience surrogate into action. As such, shortly into Josh, our heroine – a well-to-do teacher living a comfortable existence – ventures into the slums and becomes exposed to a side of her homeland the likes of which she has never before seen. Essentially raised by her beloved nanny Nusrat (Nyla Jafri) since childhood, the beautiful schoolteacher Fatima (Aamina Sheikh) feels like she’s lost her mother all over again when Nusrat fails to return to work after several days. With Nusrat’s cell phone left behind to guide her, Fatima journeys into the slum in which Nusrat resides and encounters the people in her nanny's community that she'd tried to feed in a shocking contrast of the haves and the have-nots. Gradually uncovering a larger and more dangerous conspiracy wherein control of the people is tied to limiting their food source and access to education to prevent them from thinking for themselves, Fatima follows the breadcrumbs left behind until she zeroes in on the slumlord behind the enforcers, bullied residents and hungry schoolchildren alike. Though bolstered by its talented cast, surprisingly for a filmmaker with an editing background, one of the biggest problems of Josh is making it past the first somewhat confounding act until at last we’ve begun to piece together through context clues exactly who is who and what is going on (which I wondered might be a subtitle translation problem as well). All the same, in spite of its bad editing, for those willing to remain patient and hang in there, the rewards of the film are plentiful. Although it doesn’t have the same natural, fly-on-the-wall neorealist inspired technique evident in say Mira Nair’s Salaam Bombay! 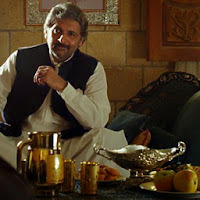 or Deepa Mehta’s Elements Trilogy, as unfortunately there’s entirely too much speechmaking and contrivances, Bilal’s literary use of symbolism and foreshadowing is nonetheless effective. Muddied in its editorial presentation by a filmmaker who knows her tale so well that she doesn’t stop to think if (perhaps instead of another speech) we could’ve used a reference to the past to bring us up to speed, Josh is a necessary and worthwhile artistic endeavor that’s deserving of an audience despite its flaws. Best viewed alongside a friend or relative with a gift for observation in helping you flesh out context clues to decipher the who, what and why much faster, this 2012 Women in Film Fund award winner plays even better the second time around. And while undoubtedly a second edit by someone unassociated with the production would’ve helped clean up the film tremendously, it’s an auspicious debut by a welcome new cinematic voice. 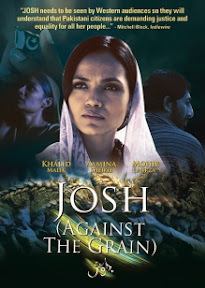 While of course, the importance of a quality Pakistani female filmmaker cannot be understated, Josh (which translates to passion or excitement), has something much more urgent to say in its depiction of a side of Pakistan that we don’t see on the evening news here in the United States. In addition to speaking volumes about Bilal’s potential as a future filmmaker, Josh also zeroes in on the issues of feudalism, hunger and corruption that as global citizens we can’t afford to ignore, regardless of class, gender, which country we’re from or the one we call home.